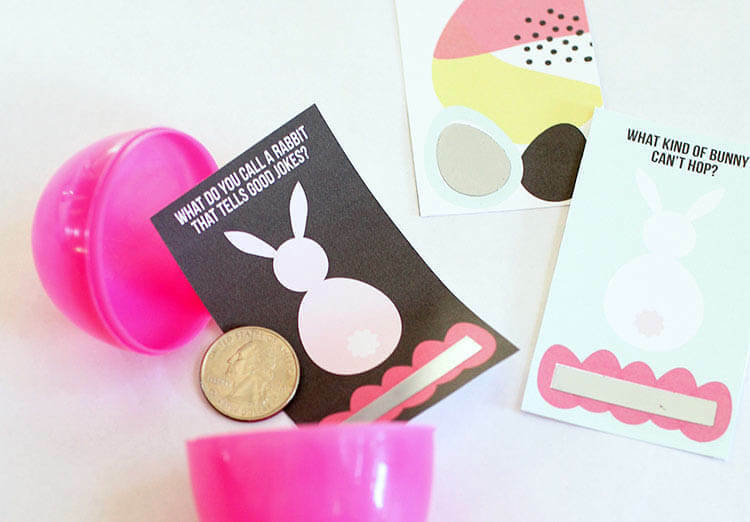 DIY scratch off Easter joke cards make a great non-candy, allergy-safe Easter treat, and they are super easy to make with cute free printables and scratch-off sticker paper! 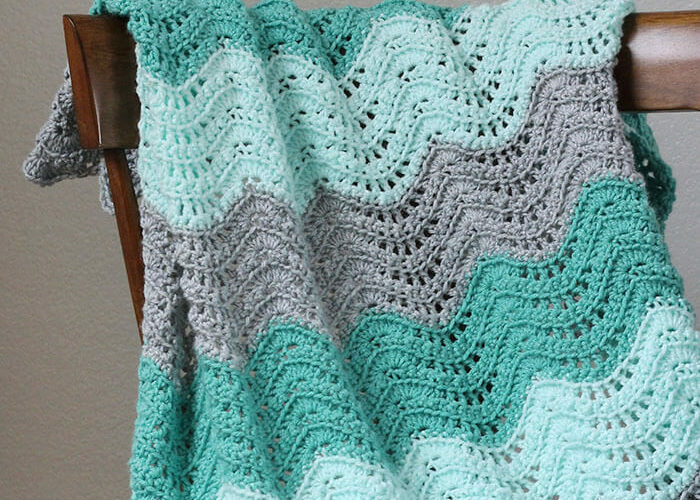 This post was originally created by me for Crafts Unleashed and contains affiliate links when possible, which help to support this site. Thanks! One of my favorite parts of Easter is planning an egg hunt for my kids. I love hiding loads of eggs all over the backyard and sending them out to find them. It’s so much fun! But I do NOT love them having a bucketful of candy after. Lots of egg = Yes. Lots of candy = NO. The solution is to find small non-candy treats to fill the eggs. 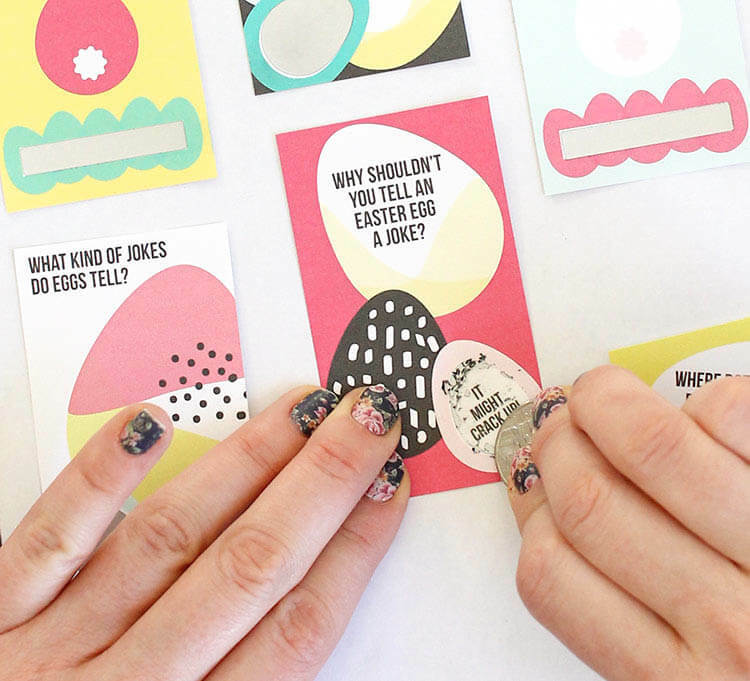 In years past I’ve done bubbles, erasers, stickers, and this year when I saw this cool new scratch-off sticker paper, I had a new idea – scratch-off jokes! Every kid knows that the only thing better than a good, cheesy joke is a good, cheesy joke with a scratch-off answer. Plus maybe a quarter. Definitely nothing better than that, right? Yeah, I know my kids will think the quarter puts it over the top. 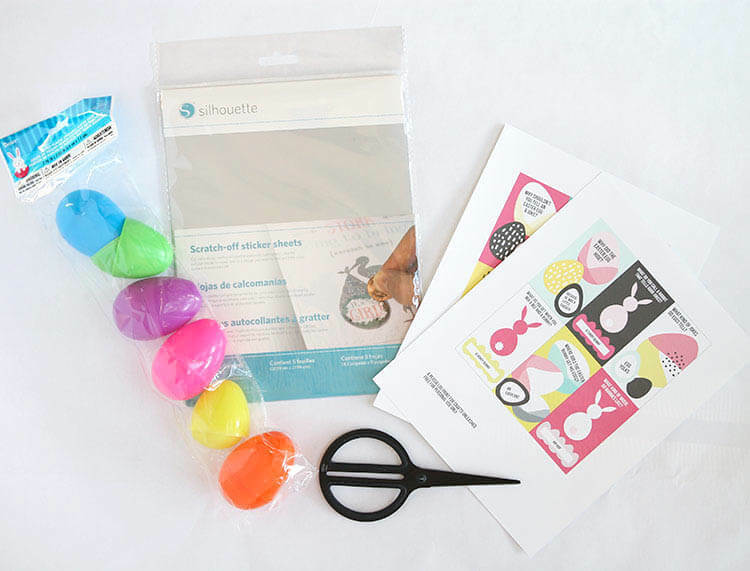 The scratch-off sticker paper is super easy to use, and I am so excited about all the possibilities! Okay – let’s make some sweet scratch off Easter Jokes! 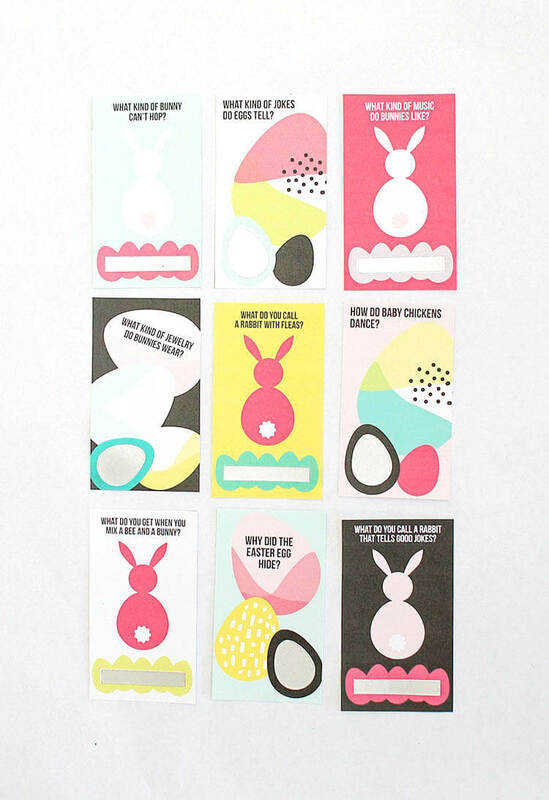 Start by printing the joke card designs out on plain white cardstock. (Get the free download HERE.) 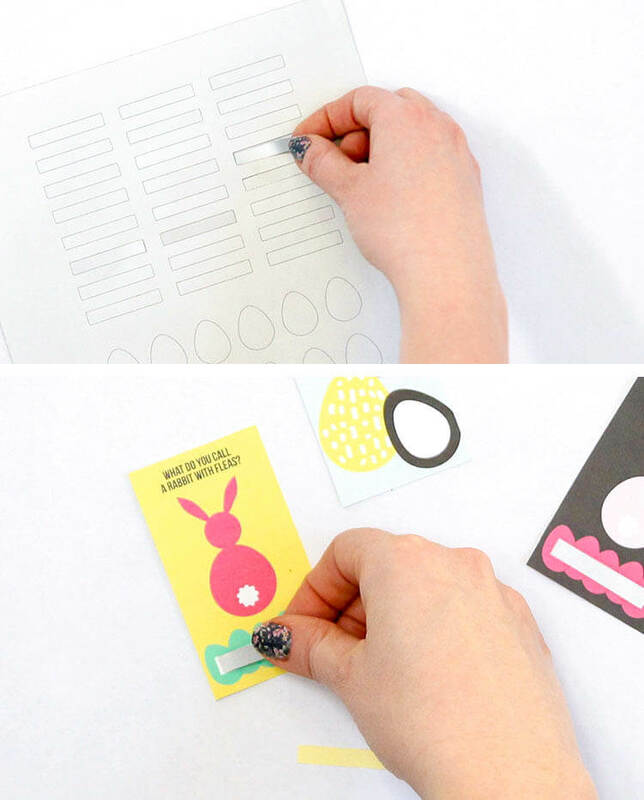 Cut out the individual cards using scissors or a paper trimmer. There are twelve designs (and twelve jokes) in total. Print out and cut as many copies as you need. 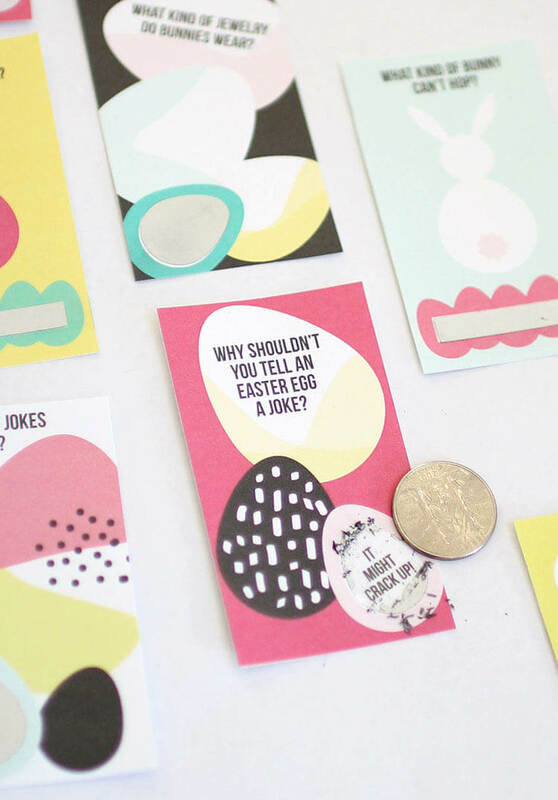 On each card, the answer to the joke is in either a rectangle or an egg shape, and you will cut the scratch-off sticker paper in the same shapes to cover the joke answers. To cut with your Silhouette, download the scratch-off shapes SVG file. 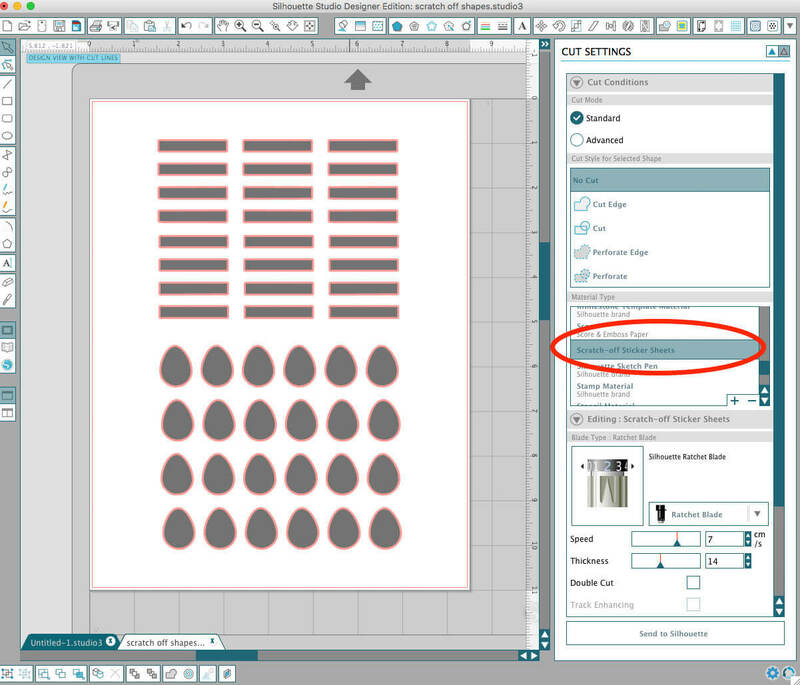 In Silhouette Studio, select “Scratch-Off Sticker Sheets” under Material Type and adjust your blade according to the settings. Then just cut! If you don’t have an electronic cutting machine, print off the PDF version of the shapes, trace them onto the scratch-off material, and cut out with scissors. 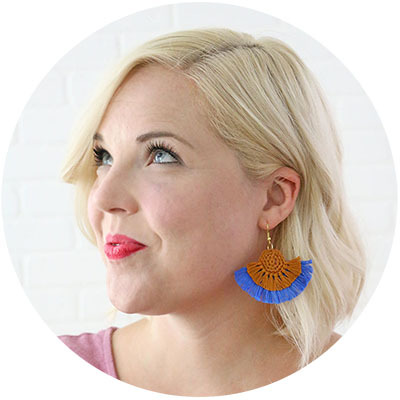 The shapes are pretty simple, so you shouldn’t have trouble cutting them with scissors. Finally, just peel the scratch-off material up off the yellow backing and carefully apply to the card over the joke answer. 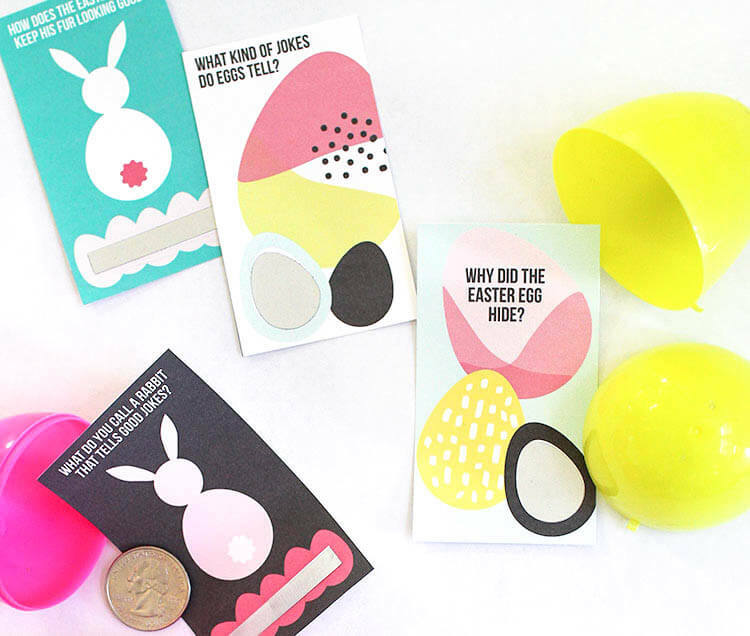 The bunny cards get rectangular stickers, and the egg cards get egg shapes. 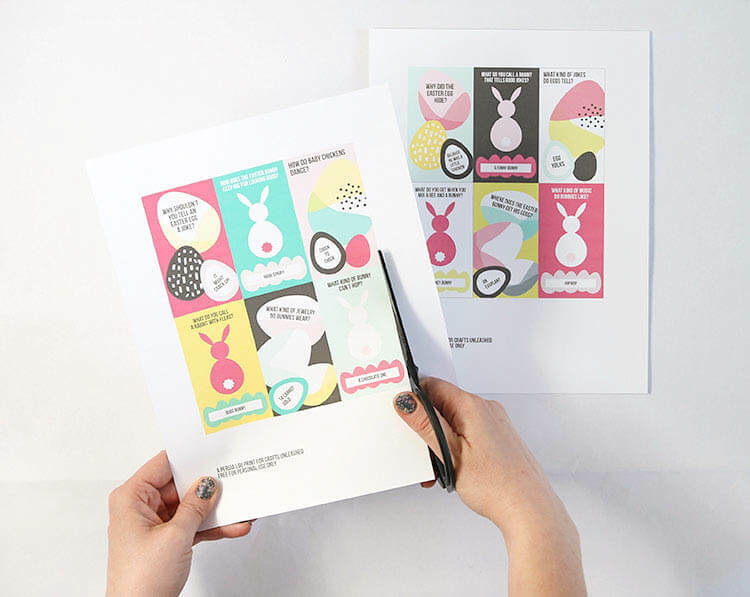 If you roll them slightly, the DIY scratch off cards fit perfectly in jumbo plastic Easter eggs. 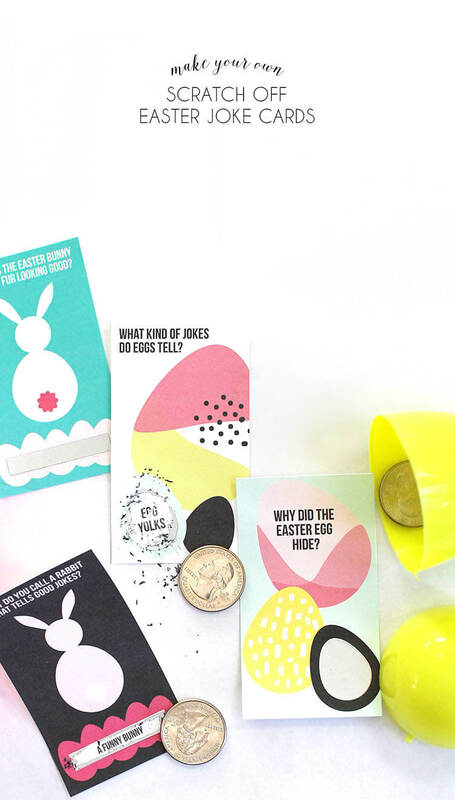 Throw a quarter in with the joke card for an extra special treat and something to reveal the answer with! Yay! All ready for egg hunts! Happy Easter and Happy Making! 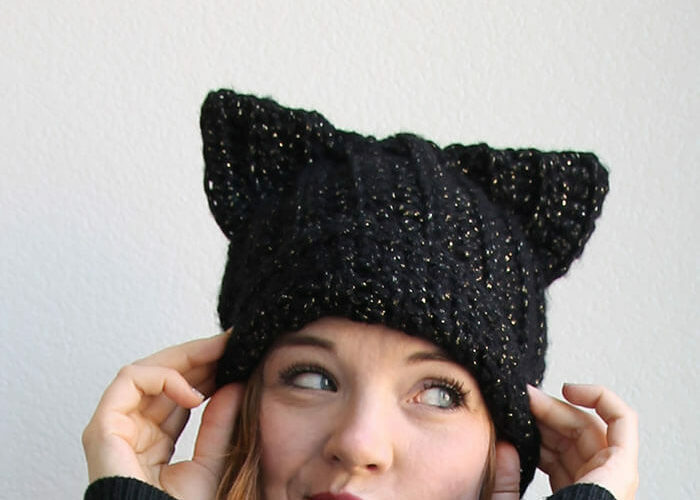 How fun are these?!?! Awesome, Alexis! Love these cute little jokes.